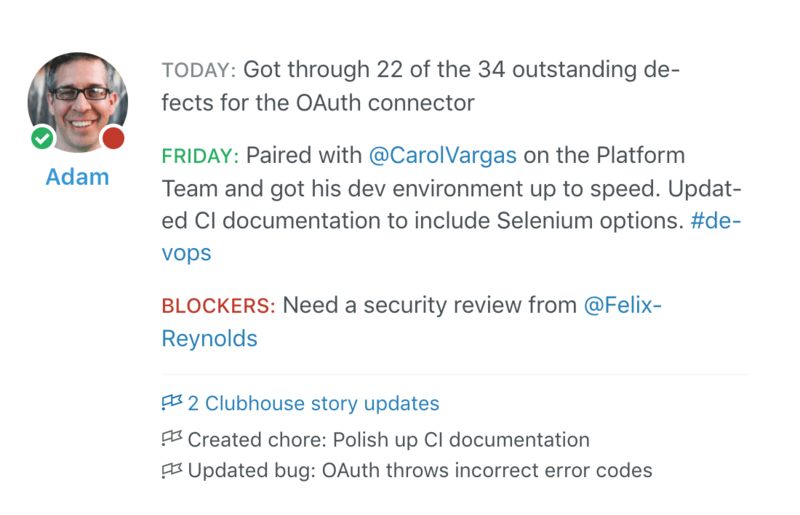 Here's how the Clubhouse integration works: you connect Clubhouse to Status Hero with a webhook and an API token, and Status Hero will match up Clubhouse activity to your team members based on their email address. Then, their Clubhouse activity appears in the activity page and alongside their check-ins, automatically. 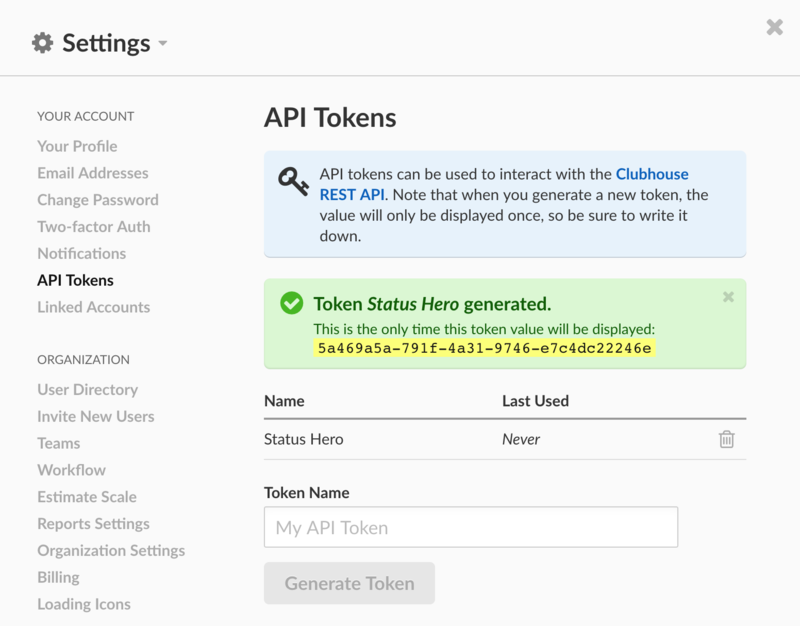 To set it up, first, visit API tokens section of your Clubhouse settings. Create a new token for use with Status Hero, and copy it to your clipboard. Then, visit the Integrations page in Team Settings in Status Hero. Under the Clubhouse panel, paste your Clubhouse API token and click "Save." Next, copy the URL listed under "Webhook URL." 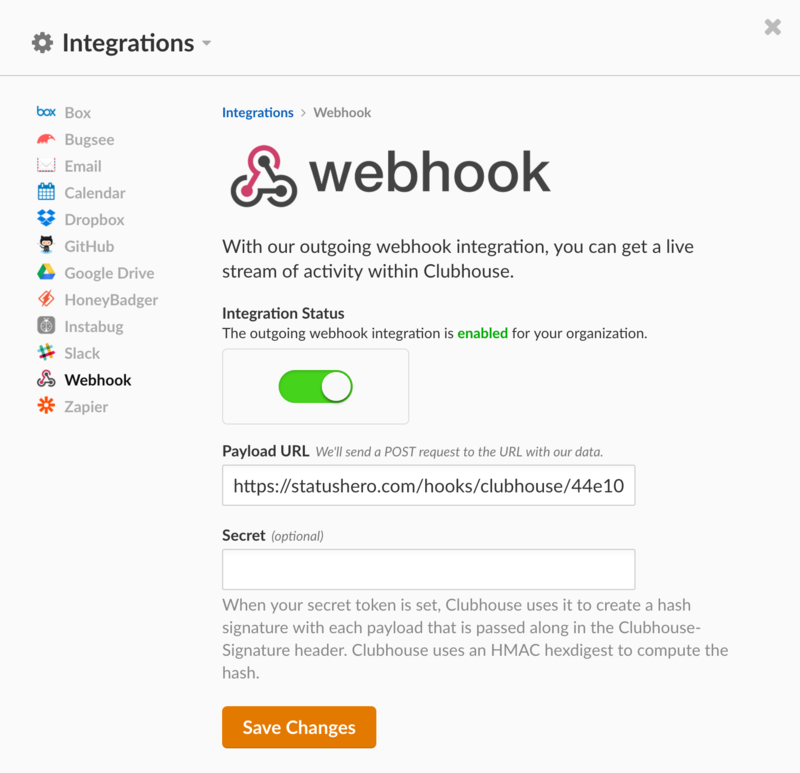 Log in to Clubhouse, open the "Settings" menu, and select "Webhooks." Make sure that webhooks are enabled, paste in the URL, and then click "Save Changes". That's it! To test it out, make a change in Clubhouse and look for a new entry in the activity stream. Check to make sure the email address that is being used in Clubhouse matches the email address that is being used in Status Hero. If you or a team member is using a different email address in Clubhouse, set the secondary email address to match the one used in Clubhouse. Note: The Clubhouse integration is available in Pro and Corporate plans only. If you are subscribed to the Basic plan, you will need to upgrade to use the Clubhouse integration.